Dreamweaver’s easy-to-use graphical interface and powerful list of features makes it a popular choice among professional web designers as well as hobbyists. With each new version, Dreamweaver offers new features, but you’ll still find the familiar Welcome screen to help you get started. 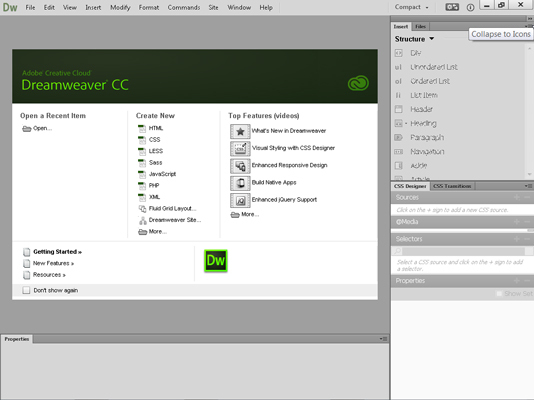 The Dreamweaver CC Welcome screen provides shortcuts to recently opened files, new file types, and videos about top features.